ATLANTA – January 24, 2019 – Many people make a New Year’s resolution to volunteer their time to worthy organizations. To facilitate that connection between volunteers and nonprofits, Community Foundation for Greater Atlanta has partnered with Catchafire, an online platform that connects talented volunteers with nonprofits that need skilled help. Professionals who wish to volunteer can simply create a profile on the Catchafire platform, review needs posted by nonprofits then apply to do the work pro bono. Nonprofit and volunteer users on the platform have the opportunity to learn more about each other before committing to the project, to ensure a good fit and impactful experience for all participants. Through the platform, nonprofits can post a unique project or choose from more than 120 project templates that include database development, financial forecasting, marketing planning, volunteer recruitment and website construction. Volunteer participation can range from a one-hour phone consultation to hands-on project completion over one week to two months. Nonprofits use the platform to complete projects for which they lack the specific skills on staff to complete, or those where funding is not available and the work has been put on hold. For example, a nonprofit may lack in-house graphic design expertise and could find a qualified volunteer for projects as needed. In the first six months of the pilot, 222 invited nonprofit organizations from the Atlanta region signed up with the Catchafire platform and 74 matched with volunteers for a total of 170 projects completed. This translates to 3,200 pro bono professional service hours that delivered $679,000 in short-term value to the nonprofits. Organizations have also indicated that through Catchafire they have been able to gain long-term impact such increasing their ability to articulate impact, acquiring new skills for staff and receiving new donations. One volunteer noted, “I feel empowered that I found a place where my education and creative talents can be utilized for good.” Volunteers looking to make an impact can sign up through Catchafire and look for projects that will best use their skills. Nonprofits interested in participating must have an updated online profile and common grant application with the Community Foundation to be considered for the next round of the partner program. Catchafire is a full service, on-demand solution designed to address the wide-ranging and complex needs of nonprofits by connecting them with talented pro bono professionals. Through Catchafire’s innovative web-based platform and network of more than 10 million professionals, nonprofits can instantly find people with expert skills who can help them with initiatives such as developing a website, building a strategic plan, designing a brochure and a variety of other areas of critical work. Catchafire’s scalable and cost-effective model makes it possible for grantmakers to provide a full suite of capacity building services to any nonprofit that the foundation seeks to serve. 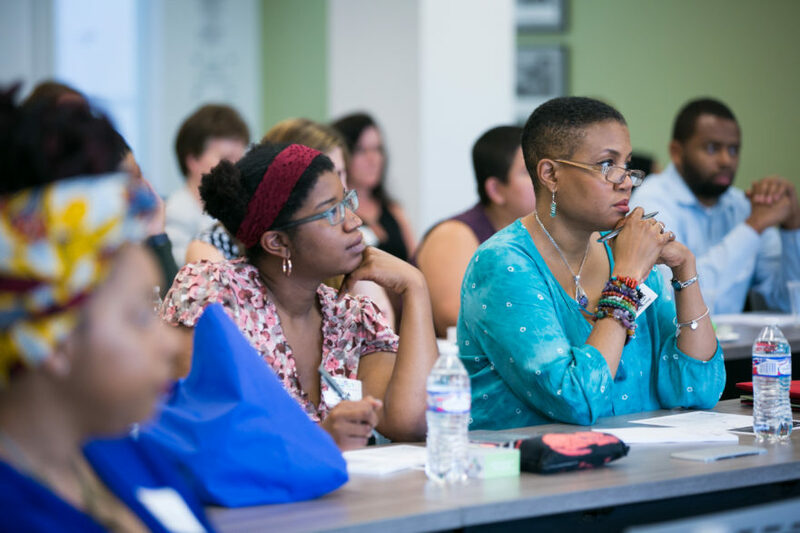 In this way, Catchafire and its foundation partners are not only helping nonprofits improve their capacity, sustainability and effectiveness, but also leveling the playing field and making capacity building available to any nonprofit or changemaker in need.